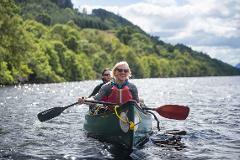 Take a wonderful trip by Canoe on the most iconic of Scotland's great Lochs.....Loch Lomond. Explore the islands of the Loch with some awe-inspiring scenery as a backdrop. Minimum age 7. Kitted out with wetsuits and a helmet you make you will scramble, climb, bum-slide and balance your way along a small river gorge. Fun for all the family with children 10 years old or more. Kitted out with wetsuits and a helmet you make you will scramble, climb, bum-slide and balance your way along a small river gorge. Fun for all the family with children 8 years old or more. 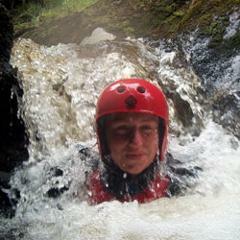 Walk, scramble, climb, swim and enjoy lot of BIG (up to 10m) jumps into deep pools in a fantastic location. Not for the faint-hearted! Minimum age 16 years old. 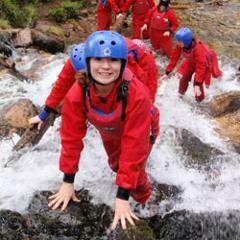 Kitted out with wetsuits a helmet and a river sledge you will negotiate fast moving water, small rapids and waterfalls. This is a fun packed activity for confident swimmers, 12 years old or above. Segway X2s are two-wheeled self-balancing people transporters. 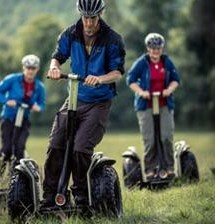 They use space-age gyroscopes combined with all-terrain tyres to help you stay upright while exploring some awesome Loch Tay scenery, and having amazing fun.